No matter who you are, or where you live, a spa is a luxury that is worth having in your home, allowing you to relax and unwind after a long day of hard yakka. While there was once a time when many of us would only have the opportunity to use a spa at a resort, or when visiting friends, today it is a popular addition to any home. The word ‘spa’ comes from the Latin phrase ‘sanitas per aquam’ which means ‘health through water’ and humans have been using them for thousands of years for just that. As the body is warmed up from the hot water, blood flow increases, which improves circulation, blood pressure is reduced and muscles are relaxed. Having a regular spa is not only beneficial for you physiologically, but it can be a fun way to entertain friends and family. 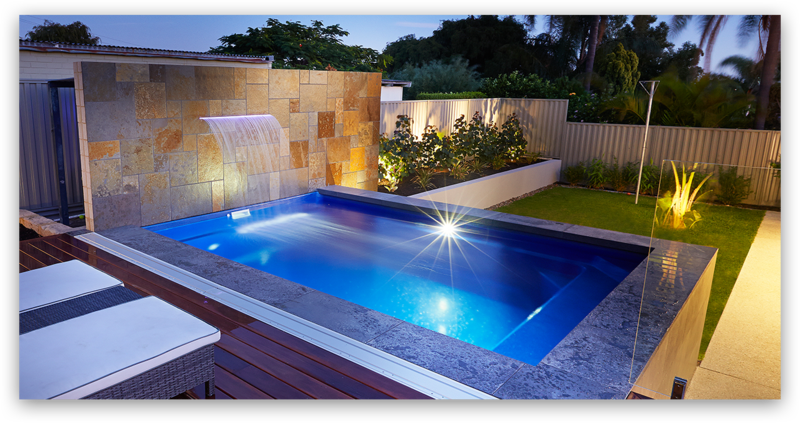 At NQ Pool Warehouse we have a variety of different spa designs available to suit any space and budget. We supply and install high quality spas that have been built to international standards to give you that luxurious resort feeling with the convenience of enjoying a spa in your own home. All our spas are made using premium quality materials and components to ensure that they are long lasting, as well as providing value for money. As an addition to a pool area, a spa can be a great finish to a cool, refreshing swim, so talk to our staff today for more information about our range of gorgeous spas. We can come to you and show you how easy it is to upgrade your life to include regular spas in your daily routine, giving you a bubbling fountain of youth to enjoy whenever you choose.